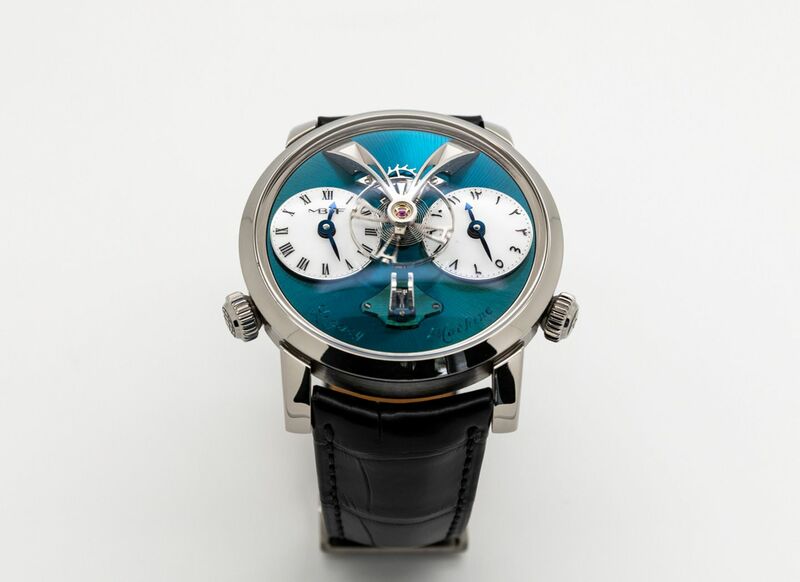 First presented in 2011, the LM1 allowed us to embark on a new series of MB&F machines; the now-famous Legacy Machines, more classic in appearance, that answered the question: “What would MB&F have created 100 years ago?”. 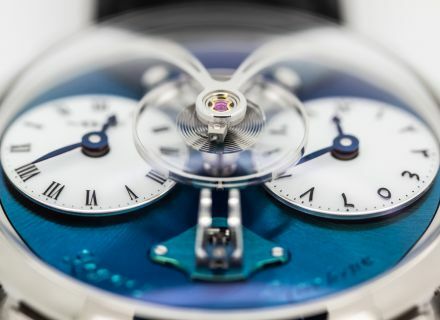 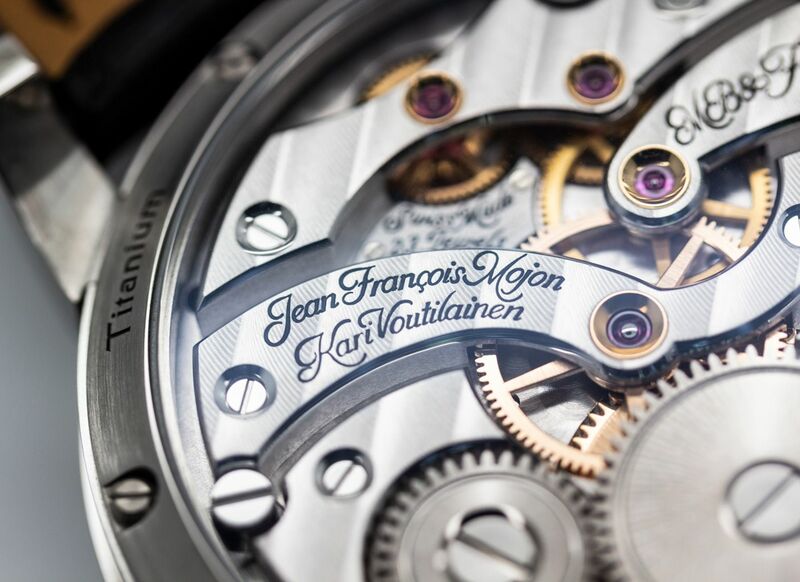 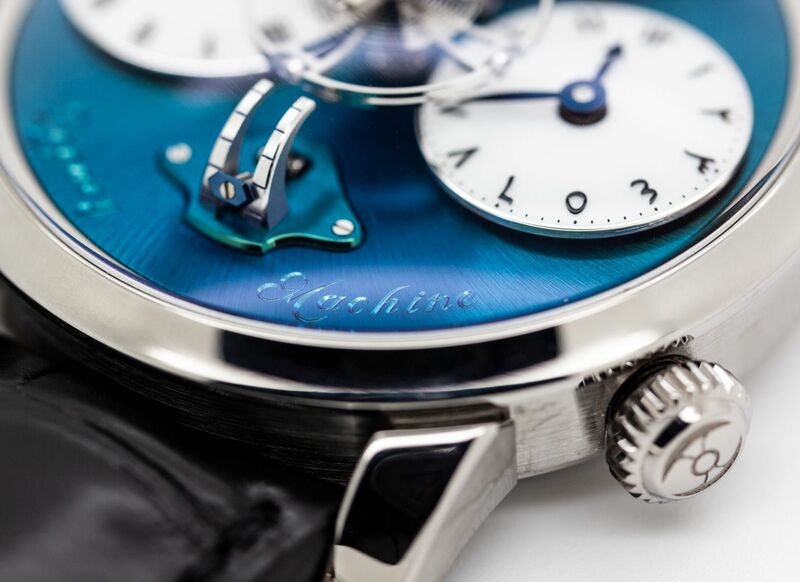 At the center of the piece, under the impressive sapphire crystal dome, is the heart of this Legacy Machine: an oversized “flying” balance wheel. 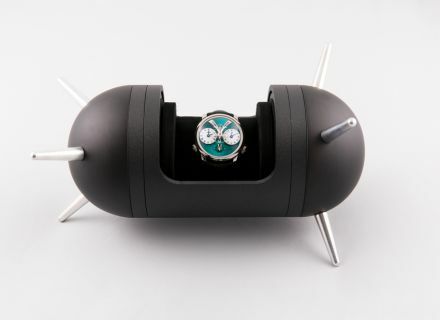 The system beats at a voluntarily slow 18,000 beats per hour (2.5 Hz), which allows you to see the pulse of this mechanical heart. 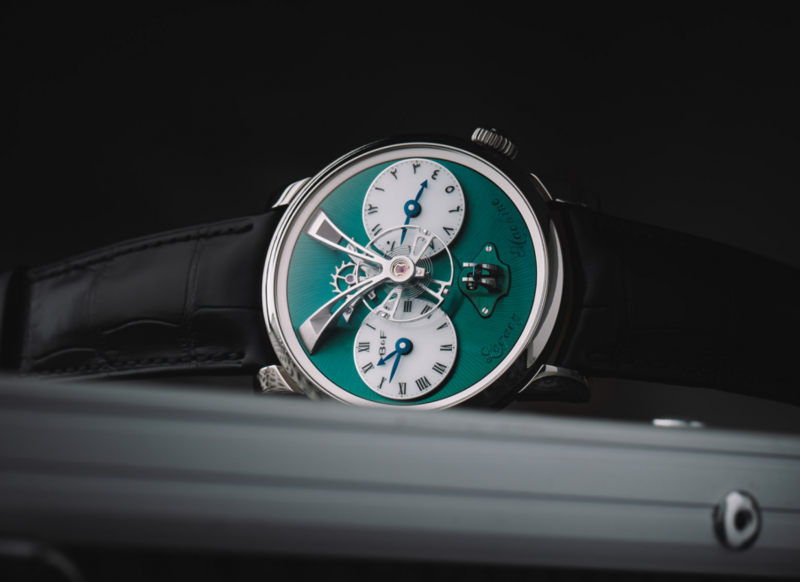 Reminiscent of 18th and 19th century pocket watches, two small white dials with independent dual time zones. Returning us to the future, however, is the world’s first vertical power reserve indicator. The LM1 M.A.D. 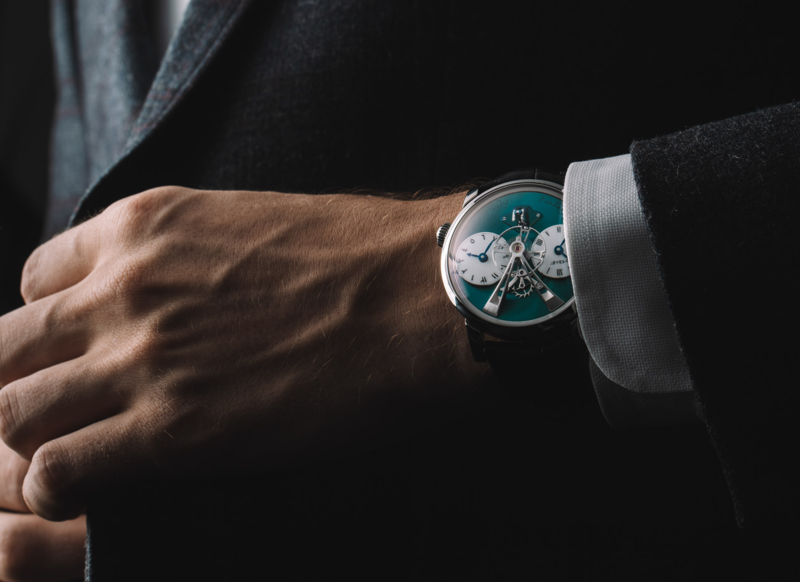 Dubai edition represents a big thank you to our partners in Dubai since the very beginning of MB&F – the Seddiqi family – for their everlasting support and enduring friendship. It enjoys distinctive features: a titanium case, a bluish-green CVD dial, and a very special sub dial on the right – with Arabic-Hindi numerals. 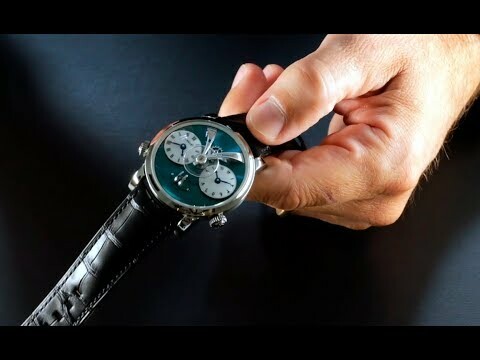 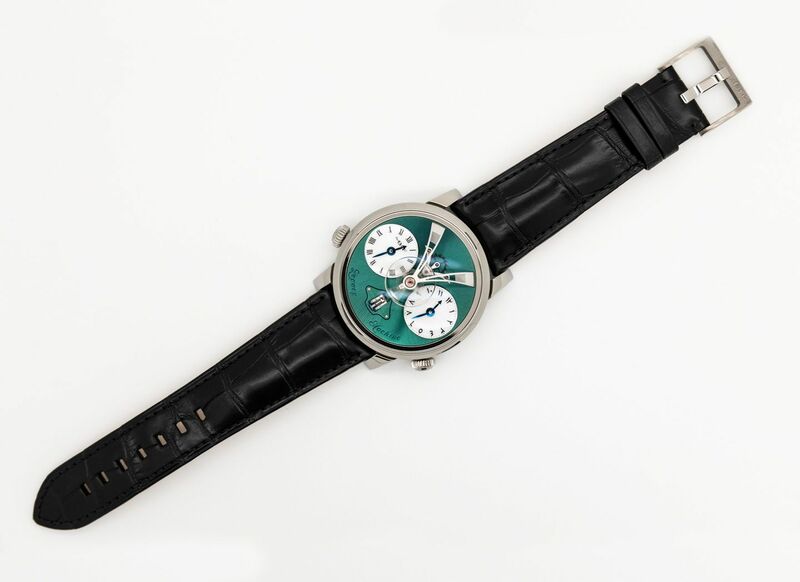 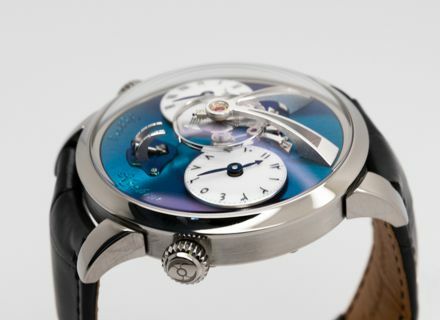 This special LM1 was limited to 13 pieces only and was available exclusively at the MB&F M.A.D.Gallery in Dubai. 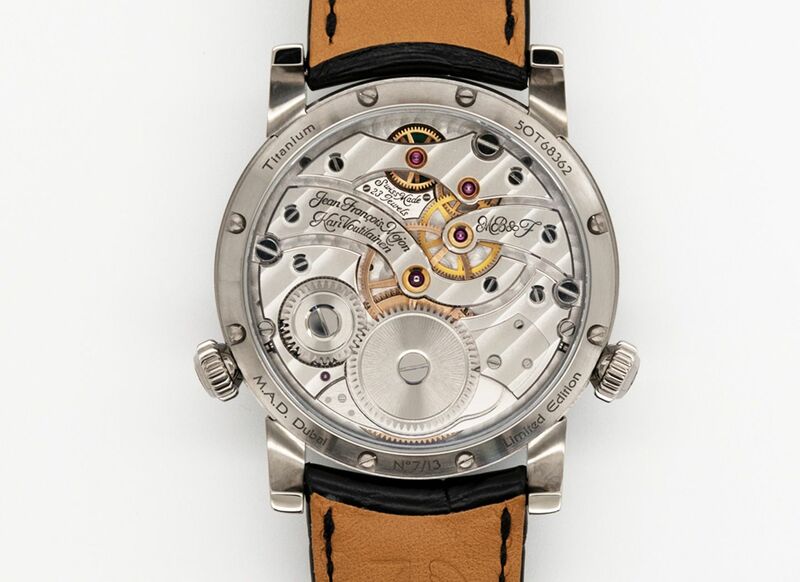 Hours and minutes; completely independent dual time zones displayed on two dials (left with Roman numerals and right with Arabic Hindi numerals); unique vertical power reserve.